For our UK Tapscape readers who weren’t able to to go the Westfield Stratford City Samsung flagship store yesterday, fret not because the Samsung Galaxy Note 2 goes on sale on most mobile phone stores and networks today! And the first network to announce the available of the highly-coveted phablet is Three. £499? That must be a relief for most since the Samsung Galaxy Note 2 was originally reported to have a non-contract price that’s closer to £550. Three’s asking price for a contract-free Samsung Galazxy Note 2 is significantly cheaper than Clove and Expansys, who are asking for £528 and £529.99 respectively. For our friends on the other side of the world, the Samsung Galaxy Note 2 will be launched in the US on October 24 and will be widely available shortly after. All major carriers have confirmed that they’ll be carrying the 5.5-inch phablet. 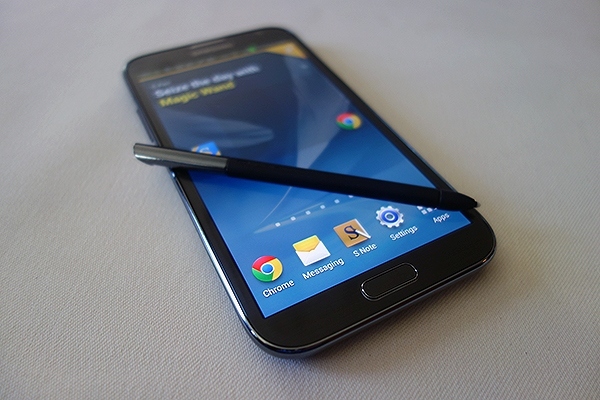 Want more on the Samsung Galaxy Note 2? Check out our in-depth, full feature rundown.